Endoplasmic Reticulum Aminopeptidase 2 (ERAP2) has found to be associated with AS and Crohn’s Disease (CD). The functional implications of this association have not been explained to date. We tested levels of HLA-B27 and MHC-I Free Heavy Chain (FHC) in AS patients with the ERAP2 null allele. We further tested if ERAP2 suppression in an in vitro system results in changes in B27 misfolding and UPR. A total of 40 B27-positive AS patients were typed for the rs2248374 polymorphism. Peripheral Blood Mononuclear Cells (PBMC) were isolated and stained with antibodies to CD19 (B cells) and CD14 (Monocytes). Staining with HC10 antibodies to assess MHC-I FHC expression and ME-1 antibody for intact HLA-B27 was performed. Mean Fluorescence Intensities (MFI) for FHC and B27 expression was assessed by flow cytometry. C1R-B27, a human B lymphoblastoid cell line stably transfected with HLA-B27, were treated with 2 separate shRNAs to suppress endogenous ERAP2. Changes in UPR were assessed by PCR for BiP, CHOP and PERK. Protein expression of CHOP was assessed by western blot and semi-quantitative XBP-1 splicing assay was done by PCR. 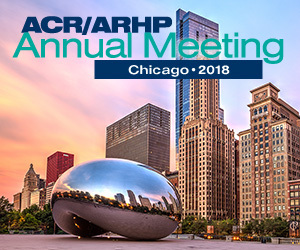 AS patients with no ERAP2 expression (homozygous for the minor allele of rs2248374) had higher FHC expression on the surface of PBMCs (P=0.019). When corrected for ME1 expression there was significantly lower ratio of intact-B27:FHC ratio in PBMC as well as specifically on monocytes. PCR showed more than 20-fold increase in CHOP levels with ERAP2 suppression and between 1.2-1.5 fold increase in BiP and PERK. CHOP protein levels increased more than 3 fold while XBP1s increased 20-fold. This is the first study showing a functional relevance of the ERAP2 association with AS and Crohn’s Disease. ERAP2 deficiency in AS patients are associated with higher MHC-I FHC expression on PBMCs. Suppression of ERAP2 in an in vitro system led to significant increase in UPR markers. Changes in ERAP2 expression could influence the pathogenesis of AS and CD.